Ray Grant hit the right note as an unsung hero with his first ever goal for Clyde proving a vital match winner for Danny Lennon’s side. But the man of the moment insisted he couldn’t have cared less whether he secured the three points for the Bully Wee - just as long as somebody did. 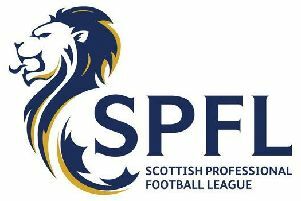 Grant’s close-range finish was enough to defeat Cowdenbeath and allow third-placed Clyde to close the gap on League Two promotion rivals Edinburgh City and Peterhead. The 22-year-old midfielder admitted: “I was delighted with my first goal for the club, but the most important thing was that we won the game to keep our run going. “We’ve been playing well and everyone could see we dominated the game and if a goal was going to come it would be from us. “It was a fantastic delivery from Jack [Boyle]. He’s got that in his locker so I don’t think it was any surprise when he puts it right on my foot and it’s just down to me to finish it off and lucky enough I did. “We’re a bit different to other sides in the league, we’re not the biggest team in the division. We know that so we’ve got to go about it in a different way. “Other teams go a little bit more direct, but there’s more than one way to win a football match. The players that we have we need to keep probing and be patient and luckily enough it paid off today. “We’d like to make it a wee bit more comfortable, but a win’s a win. That’s not to say Grant didn’t enjoy finding the net, or the exuberant celebrations which followed with the fans in the Broadwood stand. And is only too well aware of how much the Bully Wee faithful want to see their exile in Scottish football’s basement tier brought to an end. He said: “The fans are desperate to get the club back to where it should be and we’re desperate to try and make it happen for them. “We know before I got here there were managers who came in and tried to do it and it’s not quite worked out. “You can see after the manager and assistant came in last year they turned things around. I was lucky enough to come in here when we’d just beaten Montrose and Peterhead so I was coming in after two big wins and was so surprised that we were down at the wrong end of the league. “As soon as I walked in I could see the quality in the team. We nearly got in the play-offs but it wasn’t meant to be. But this season there’s no excuses for us. The win over Cowdenbeath was Clyde’s sixth in a row - with just one goal lost in that period. It also stretched their unbeaten run to 11 games, but Grant is only too well awawe that consistency must be maintained from now until the end of the season if they are to reap the rewards. He said: “Even at the start of the season we were playing well but it was ‘win two, lost two’. “But consistency is the most important thing in football, in individual performance and team performance. It’s massive and we’ve got to keep that going. “Two other teams are still in better positions than us and we understand that so we haven’t done anything yet.